Optimus Camp & Hike Canister Stand 8018910. 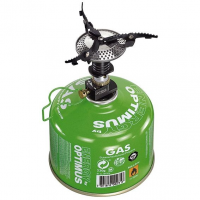 It fits small and large canisters up to 16 oz / 450 g the Canister Stand is an essential for your camping experience. If you cut off your toothbrush handle to save weight, you'll appreciate the Optimus Crux Lite stove. 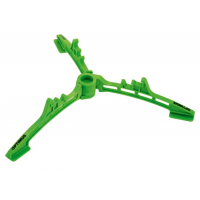 It has all the performance of the regular Crux, but trims 11g by eliminating the folding mechanism. 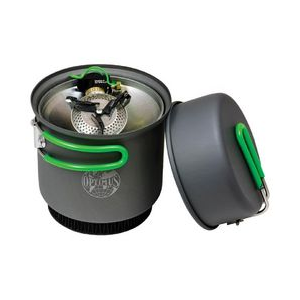 The Optimus Crux Lite stove and Terra Solo cook system are a tiny little bundle to help you escape the daily grind-including an ultralight, precision-simmering stove, pot, fry pan and mesh bag. 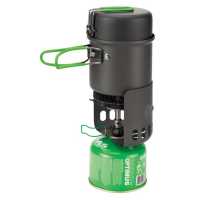 Need a featherlight yet dependable backpacking stove? Look no further. The compact Optimus Crux stove is a tiny little beauty that snuggles right into the cavity at the bottom of your gas cartridge. Designed for fuel efficiency, the Optimus Elektra FE cook system is a lightweight set with nearly everything you need to make an open-air meal in the backcountry.